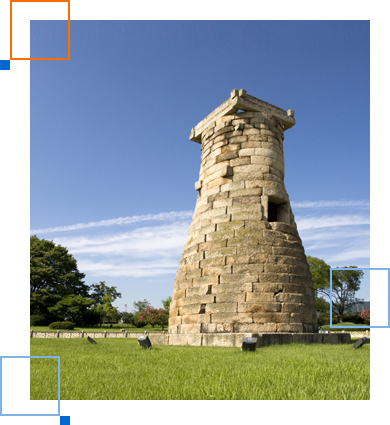 Korea is an ancient country with a history of more than five thousand years. It is therefore hard to pinpoint the origin of the Korean people. The early inhabitants on the Korean Peninsula, according to a theory, were a Tungusic branch of the Ural Altaic family who migrated from the northwestern regions of Asia to southern Manchuria and the Korean Peninsula some five thousand years ago. Legend has it that Tangun, the first great ruler of Chosun, organized various primitive tribes in the northern region of the country into a kingdom about 24 centuries before the birth of Christ. The Tangun era lasted about 1,200 years, followed by the Kija dynasty which lasted about 99 years. The Kija dynasty, established by a Chinese scholar by that name, was essentially a city-state. Meanwhile, in the southern region of the Korean Peninsula, three tribal states of Mahan, Chinhan and Pyonhan were established at about the same. They unleashed what historians call the Three Hans period. The rule of the Kija dynasty came to an end in 194 B.C., when power was seized by Weiman, who also came to Pyongyang from China. In 109 B.C. the Chinese Han dynasty extended its power over northern Korea and remained there for the next four hundred years, establishing four colonies of Lolang (Nakrang), Chenfan (Chinbon), Hsuantu (Hyondo) and Lintun (Imdun). The Lolang tombs, dating from 108 B.C. to 200 A.D., have revealed some examples of exquisite lacquer work, bronze mirrors and jewelry. It was the first century B.C. that centralized monarchy began to develop on the Korean Peninsula. But the country was then divided into three parts. There was Koguryo which ruled in the northern part of the country as well as greater part of present day Manchuria. Meanwhile, the southern region of the peninsula was divided into Kingdoms of Silla and Paekje. Thus began what has been known as the Three Kingdoms Period in Korea. The Kingdom of Koguryo was the strongest of the three and ruled from Pyongyang until 668 A.D. when it fell before the onslaught of Silla which was allied with the Tang Empire of China. 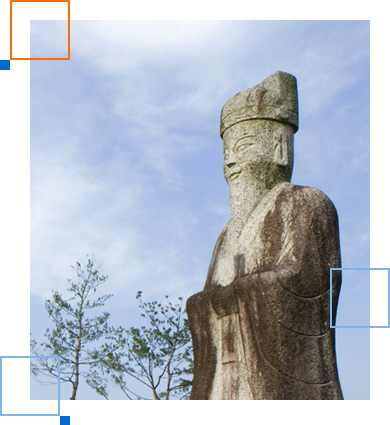 It was Koguryo kingdom that introduced Buddhism and Confucianism from China, which were later passed on to Japan. Silla earlier had succeeded in subjugating the neighboring Paekje were established at about the same time. After Silla unified the Korean Peninsula, she succeeded in driving out the armies of the Tang Empire, achieving political union of the entire Korean Peninsula. Silla had extensive contact with distant countries through its maritime commerce with the outside world. Traders of that ancient kingdom are known to have established hundreds of settlements along the eastern coast of mainland China-Buddhism flourished as the state religion, Buddhism becoming a dominant force both in spiritual and cultural life of the kingdom. This is evidenced by many highly refined Buddhist sculptures, paintings and architecture which are found in the temples built during the Silla dynasty. These are among the most valued artistic treasures of Korea today. 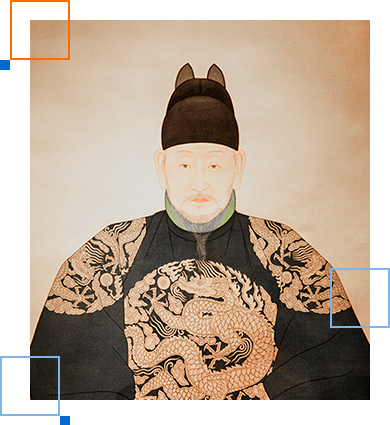 However, the kingdom of Silla fell victim to growing power struggles and corruption in its latter years, to be finally overthrown by Wang Gon in 918 A.D.
Wang Gon founded Koryo Dynasty which ruled the Korean Peninsula for 475 years. The present English appellation of Korea is derived from Koryo. Buddhism became its state religion and played a do-minant role in the shaping of the kingdom. Buddhist monks held high positions as advisors to the King. Koryo came under constant harassment by the Mongols and had at one time to accept the over lordship of the Mongol Khan. The invasions of Mongolian armies, however, served to awaken the country to the advanced cultures of the outside world. 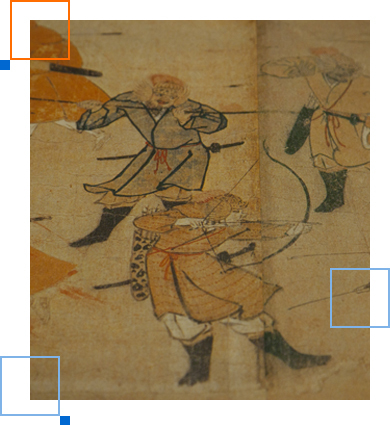 There were frequent exchanges of people and goods between the Mongols and Koreans. 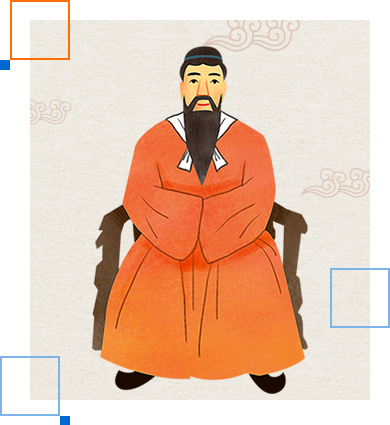 Koryo was brought into contact with medicines, astronomy, mathematics, arts and other scientific advances of the west as well. Koryo inaugurated the civil service examination for the first time in Korea's history. Bronze coins were invented and used, and highly refined porcelains were produced during this period. But the same Buddhism which had played an important role in the development of Koryo had a decisive role in sealing the fate of the kingdom. It was a scheming Buddhist monk who instigated the King to send General Yi Song-gye at the head of an expeditionary force to attack Manchuria. Aware of the impossible task thrust upon him, General Yi instead turned his army back to dethrone the King and usurp power for himself. Birth of Chosun Dynasty After Lee (Yi) Song-gye overthrew the Koryo King-dom, he enthroned himself as King Taejo and renamed his kingdom as Chosun in 1392 A.D. Upon seizure of power, Lee swiftly moved to effect sweeping reforms. The reforms were mainly aimed at ridding the country of Buddhist influence which had permeated all walks of life in the preceding dynasty, by driving monks and temples out of cities into the mountains. Thus, he effectively barred religious leaders from interfering with state affairs. He then adopted the Confucian doctrine making it the moral foundation of society for the ensuing 500 years. Of all the kings of the 500-year Yi Dynasty, the greatest and the most enlightened was King Sejong. His personal interest and initiative led to many scientific inventions and discoveries. He was also responsible for many of the cultural and educational innovations effected during his rule. Most of all, he was instrumental in inventing Hangul, the Korean alphabet consisting of 11 vowels and 28 (later reduced to 24) consonants. The Korean alphabet, noted for its phonetic adaptability and scientific accuracy, can be learned by any Korean in a few days. Treaty of Annexation The Korean people knew nothing about the signing of the protectorate treaty until the Hwangsong News broke the news. The people were shocked. They joined the nationwide resistance movement, set fire on the new Prime Minister's home, and closed all stores in Seoul in protest. Some court officials committed suicide. To compound the situation, the Japanese Resident. General ordered the Korean armed forces dissolved in August 1907. Korean troops stationed in Seoul immediately took up arms against the Japan-ese army. Other military units throughout the country followed suit. However, confronted with superior Japanese armed forces, they fled to the countryside and carried on a stubborn resistance for several years. In 1907, the Japanese government saw the need to install a figurehead more amenable as King in place of Kojong who still stood in its way. Then, it was revealed that Kojong had sent secret emissaries to the international peace conference at the Hague in a move to arouse international attention to the outrageous situation in Korea. The Japanese Resident-General, blaming Kojong for the violation of treaty, forced him to abdicate and put his second son on the throne. This was Sunjong, the second Emperor of the Taehan Empire and 27th and last monarch of the 500-year Chosun Dynasty. On Aug. 22, 1910, packing the streets of Seoul with Japanese soldiers, the Japanese forced the Korean government to accept yet another humiliating treaty. It was a treaty accepting total outright annexation with Japan. Korean archtraitor Lee Wan-yong, then Prime Minister, and Japanese Resident-Governor Terauchi signed the agreement which sealed the fate of Korea. Conclusion of the treaty was officially announced on Aug. 29, 1910. The annexation immediately deprived Koreans not only of their political freedom, but currency, and seized the country's transportation and communications systems. The Japanese semi-governmental Oriental Development Company took over a huge part of Korean farmlands in the course of the so-called land survey programs. Farmlands were systematically expropriated until up to 80 percent of the nation's total rice fields fell under Japanese ownership. Faced with destitution, millions of Koreans migrated to Siberia and Manchuria. Independence Movement In the face of increasing Japanese suppression, latent spirit of the Koreans found its expression in numerous resistance movements that sprang up throughout the country. In foreign countries including China and the United States, the Koreans living in exile staged active anti-Japanese campaigns. The most dramatic and tragic event representative of Korean resistance to the Japanese imperialism was the nationwide uprising known as the March First Independence Movement. The spontaneous and peaceful resistance movement, which broke out on March 1, 1919. called on Japan for voluntary with-drawal from her imperialistic course in Korea. The movement was inspired by the principle of-self-determination of nations enunciated by U.S. President Woodrow Wilson at the Paris peace conference that followed the end of World War II. When the news of Wilson's 14-point declaration reached the Korean students studying in Tokyo, they published a statement demanding Korea's independence from Japan in February 1919. This served as a spark for the movement in Korea. Secret plans were drafted and detailed instructions sent out to all the towns and villages via the underground grapevine urging the people to rise up seizing the inspired moment. The movement was timed to be launched on March 1, two days before the date set for the funeral of Emperor Kojong who had just passed away to dramatize the tragic fate of the nation. At the core of the movement was a group of 33 patriots. On March 1, the 33 men gathered before a large crowd at the Pagoda Park in downtown Seoul and read Korea's declaration of Independence. And then they led the crowd into the streets to stage a peaceful demonstration calling for national independence. Even remote villages joined in the spontaneous nationwide movement. The exiled patriots in Manchuria, Siberia, Shanghai and the United States also acted in concert, appealing to the governments of their respective host countries to help Korea in her efforts to recover her sovereignty. However, the movement was ruthlessly put down by the Japanese. The Japanese police arrested the leaders of the movement, tortured and killed many of them. They mercilessly gunned down the crowd who marched in peaceful procession. More than 6,000 demonstrators were killed and about 15,000 others wounded. Some 50,000 others were arrested. Extermination Policy Japan embarked on a war in Manchuria in 1930. At the same time, Japan started to tighten its grip on Korea. It also embarked on all out efforts to mobilize all available resources, human as well as material, in support of its war efforts. When new Governor-General Minami Jiro arrived, he openly declared that he would adopt a policy of assimilation which was aimed at total eradication of everything Korea. Then he undertook a series of measures for the purpose of assimilating the Korean people to the Japanese. The Japanese banned Korean language newspapers and magazines. Koreans were forbidden to speak Korean, forcing the students to speak Japanese only in schools and even at home. Students found speaking Korean were severely caned or expelled from schools. Koreans were forced to discard their Korean names to adopt Japanized names. Members of the Korean Linguistic Society were arrested and put in prison in efforts to discourage Koreans from studying the Korean language. The Japanese stepped up their totalitarian measures more recklessly when they invaded north China. By that time, the powerful financial combines were consolidating their monopolistic control of Korean industries. In the meantime, Koreans carried on their independence movement against the Japanese rule overseas. On April 17, 1919, a Korean Provisional Government was established in Shanghai with Dr. Syngman Rhee as its head. The government-in-exile was joined by Korean patriots who fled abroad to escape from the Japanese. In Manchuria and on the Chinese mainland, exiled leaders such as the rightwing nationalist Kim Gu and the leftist Kim Won-bong organized Korean youths and student-soldiers who deserted Japanese army into paramilitary units to fight against the Japanese army. As Japan's defeat appeared inevitable to-ward the end of World War II, her im-perialistic policy took a frenzied turn, and hundreds of thousands of Koreans were taken to Japan and elsewhere for forced labor in coal mines and other war-related industries. In cities and rural villages the Koreans were forced to surrender almost everything including even the metal kitchenware such as spoons, metal chopsticks and bowls for futile Japanese war efforts, until they were finally liberated by the victorious Western allies in August 1945. 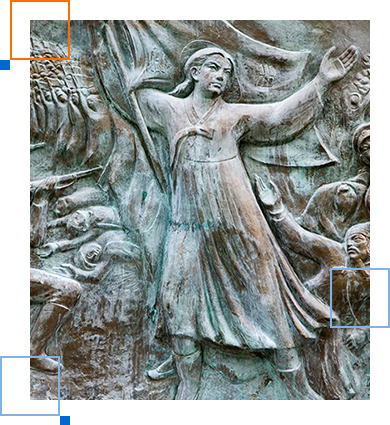 Korea was liberated from Japanese rule on Aug. 15, 1945, 36 years after Japan forcibly annexed the country in 1910. At the end of World War II, however, the southern half of Korea was occupied by the U.S. forces and the other half by the Soviet Union. Thus, the liberation brought with it a tragic division of the country. For the ensuing three years, the nation, halved at the 38th parallel arbitrarily drawn up as a border line, lived under foreign military rule. The postwar political situation in Korea was marked by mushrooming political organizations and their power struggles. The ensuing confusion arising from the clashes of conflicting power groups cast dark pall over the political horizon of the infant country. Among political parties emerging, the most cohesive was the Korean Communist Party which, first organized in 1925 as one of the underground anti-Japanese resistance groups, was reinaugurated on Sept. 14, 1945, with Pak Hon-yong at its helm bringing virtually all leftist groups under its control. On the other hand, conservative nationalists led by Song Jin-u and Kim Song-su formed the Korea Democratic Party on Sept. 16, 1945, as a major political force opposed to the Communists. At this point, it became apparent that the nation was divided ideologically as well as territorially under the full impact of a new alignment then shaping up in the world. While confrontation involving opposing political forces continued unabated, it was a Moscow Foreign Ministers conference of major powers that sparked major violent clash between the Communists and nationalists. Meeting in Moscow in December 1945, the four Great Powers agreed to place Korea under a 4-power trusteeship for five years under the supervision of the United Nations. They also decided to create a U.S.-Soviet Joint Commission to help form a provisional Korean government in consultation with political parties and social organizations in Korea and to work out an arrangement to carry out the trusteeship plan with the participation of the projected Korean provisional government. The announcement came as a shock to the people in Korea. The nation rose up in unison in the common cause of spurning the humiliating trusteeship by the Big Four Nations including China. The dramatic unity of the nation was soon broken when the Communists, in a sudden about-face, switched their position to declare full support for the trusteeship plan. From then on violent clashes between the two opposed political forces became a daily affair. Meanwhile, another development helped quicken the pace of events. The U.S.-Soviet Joint Commission, provided for at the four-power foreign ministers confernece, held its first plenary meeting in Seoul on March 20, 1946. At the meeting the Soviet side insisted that the Commision invite only those parties and organizations accepting the trusteeship. As everybody except the Communists who were small in number in reality was opposed to the plan, this would be tantamount to leaving the Communists alone qualified. The United States rejected the Soviet bid. The meeting broke off without any agreement after 50 days of heated dispute. The Commission opened its second and last series of talks on May 21, 1947. The meeting broke off again in 20 days. The breakdown of the meeting served as a signal for the Communists to launch full- fledged subversive campaigns to disrupt and discredit the U.S. military government. They renamed their party as the South Korea Labor Party on Nov. 23, 1946, absorbing some minor leftist groups. They resorted to every possible means available including assassination, sabotage, strike, riot and rebellion in their all-out subversive campaign. Their aggressive tactics prompted the U.S. military government to outlaw virtually all leftist groups in the southern half of the country. 4. KOREAN ISSUE AT THE U.N. In the meantime, the United Nations began to deliberate the Korean question at the initiative of the Unted States in 1947. The United Nations resolved, on Nov. 14, 1947, to hold general elections throughout Korea in May 1948 and to create the U.N Temporary Commission on Korea to supervise the elections. The Commission arrived in Korea in January 1948, but the Soviet occupation forces denied the Commission's access to North Korea. The Commission then recommended that the elections be conducted in such parts of Korea as are accessible to the Commision. In compliance with the U.N. resolution, the U.S. military government announced on March 1, 1948 that the elections would be held in South Korea alone on May 10. The Russian occupation forces and the North Korean Communists led by Kim Il-sung denounced the plan as a plot to turn South Korea into a base for U.S. expansion. The South Korean Communists and middle-of-roaders joined in opposing the projected elections. Kim Gu, the erstwhile head of the Korean provisional government in exile in Chungking, and his Korea Independence Party also joined the campaign against an independent government in South Korea alone, together with Kim Gyu-shik, then chairman of the Legislative Assembly under the U.S, military government. This meant that the rightist political groups were split into two, one led by Dr. Syngman Rhee supporting unilateral elections in South Korea and the other advocating negotiated settlement with North Korea, which came to be called South-North Negotiation Group. Top leaders of the group journeyed to Pyongyang for a futile negotiation with the North Korean Communists for the purported goal of achieving a coalition government. Despite the complete failure of their parley with the North Korean Communists, the negotiationists boycotted the U.N.-sponsored general elections on May 10 in South Korea on the ground that the election would perpetuate the division of the Korean Peninsula. After the elections, Kim Gu was assassinated by an army lieutenant in Seoul. The elections took place on May 10, 1948 as scheduled. During the elections, the Communists used all obstructionist tactics, attacking polling booths and government offices on 348 occasions and killing 47 candidates and election officials. Of the 48 parties and organizations taking part in the elections, the National Council for Expediting Inde-pendence led by Syngman Rhee won 55 seats, whereas the Korea Democratic Party obtained 29 seats in the 200-seat National Assembly. 85 seats went to independents. The Constituent Assembly, thus elected for a 2-year term, was convoked on May 31, 1948, and decided to reserve 100 seats vacant for prospective representatives from the northern half of the nation. Dr. Syngman Rhee was elected speaker and Shin Ik-hui and Kim Dong-won vice speakers. The Assembly designated the embryo state the Republic of Korea on July 1, and passed draft Constitution on July 12. Dr. Rhee and Lee Si-yong were elected by the National Assembly President and Vice President, respectively. The Constitution was promulgated on July 17, 1948 and Rhee and Lee were inaugurated on July 24. President Rhee subsequently appointed Lee Bom-sok as Prime Minister and Kim Byong-no as chief justice with parliamentary consent, while the Assembly elected Shin Ik-hui to speakership. 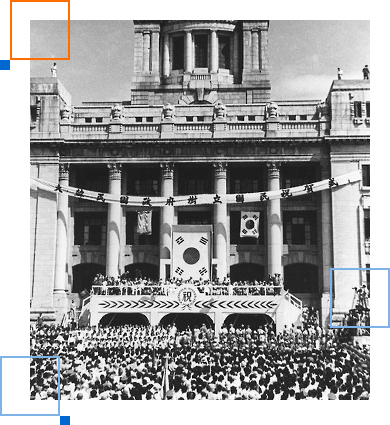 Thus, the Republic of Korea proclaimed itself on Aug. 15, 1948 on the occasion of the third anniversary of the national liberation. The U.N. General Assembly declared on Dec. 1, 1948 that the Republic of Korea was the sole legitimate government of the Korean Peninsula. Meanwhile, the North Korean Communists proclaimed the establishment of what they called the Democratic People's Republic of Korea on Sept. 9, 1948. As the government was struggling to restore order and stability throughout the country after the turbulent period preceding the birth of the new Republic, Communists intensified their campaign of agitation and sabotage to create unrest in the Republic. On Oct. 20, 1948, a revolt broke out in army units stationed in the cities of Yosu and Sunchon on the south coast of the country, and the rebels occupied the two cities until they were crushed by government troops. The remnants of the rebels went into mountainous areas and became guerrillas to infest the areas for the next few years. Subsequently, the government enacted the State Security Law which was instrumental in bringing Communist subversion and other anti-state activities under control. At about the same time, pro-Communist elements in the National Assembly started to demand withdrawal of the U.S. and Soviet occupation forces from Korea and peaceful unification of Korea through negotiations with North Korean leaders. On Feb. 5, 1949, a formal resolution asking for negotiated unification was int-roduced in the Assembly by leftist Vice Speaker Kim Yak-su and his fellow travellers. Similar motions were repeatedly tabled until 12 leading leftist law makers were arrested between May and June of 1949 to face trial for conspiring with the South Korea Labor (Communists) Party to overthrow the newly formed government in South Korea. This led to the formal outlawing of all leftist parties including the Labor Party on Oct. 16, 1949. In the meantime, President Syngman Rhee came out with a list of names to fill his new cabinet. President Rhee utterly ignored the Korea Democratic Party, which had played a key role in bringing him to power, in picking his cabinet members. Leaders of the Korea Democratic Party were infuriated and took an anti-Rhee stance throughout his presidency. In time, its head, Kim Song-su, aligned with Shin Ik-hi and Lee Chong-chon, organized a united opposition by the name of Democratic Nationalist Party (DNP) with Shin as its chairman. In an attempt to curb the nearly absolute power Syngman Rhee was wielding under the presidential responsibility system, the DNP advocated creation of a cabinet responsibility system patterned after the British system of government. Holding 70 of the 200 seats in the Constituent Assembly against 55 of the pro-Rhee Ilmin Club, DNP began promoting a constitutional amendment in favor of a cabinet system. This forced pro-Rhee groups to re-group themselves into the Nationalist Party on Nov. 12, 1949, which resulted in the redistribution of Assembly seats to 71 for the Nationalist Party, 69 for DNP, 30 for the Ilmin Club, and 28 Independents. Subsequently, the opposition DNP, in alliance with some of the independents, introduced a constitutional revision stipulating a cabinet system of government. Rhee's supporters, however, succeeded in defeating the amendment bill. On May 30, 1950, general elections for the second National Assembly were held. Some 2,209 candidates registered for the 210-seat legislature from 39 parties and organizations including 165 from the ruling Nationalist Party, 154 from the Opposition DNP and 1,513 independents. The voting, conducted amid Communist disturbances, was the first election held without supervision of any outsiders such as the United Nations. Of the 210 seats, 126 went to independents, 24 to the ruling Nationalist Party, 24 to the opposition DNP, and 36 to pro-government splinter groups. The second National Assembly was convoked on June 19, 1950, only six days before the North Korean Communists launched all-out invasion. Korean War At dawn Sunday, June 25, 1950, the North Korean Communist army unleashed an all-out invasion across the entire 38th parallel. The well-equipped Communist divisions, spearheaded by a large number of Russian-made tanks, overran Korean defense positions manned without a single tank or a field gun. The Communist forces occupied Seoul on June 28, and continued their lightening assault southward. The Korean government moved to Taejon on June 27, then to Taegu on July 16, and finally to Pusan on the southeastern tip of the peninsula on Aug. 18, 1950. On June 30, 1950, U.S. President Harry S. Truman ordered U.S. Army General Douglas MacArthur to use U.S. forces in Japan to help defend the Republic of Korea. The first elements of the 24th U.S. Division arrived in Korea from Japan on July 2 and made an initial engagement with North Korean forces at Osan south of Seoul on July 4, 1950.U.N. Intervention The North Korean invasion, the first full-scale hostility in the world since World War II, shocked the world. The United States promptly brought the matter before the United Nations Security Council, which in an emergency session on June 25, called for immediate cessation of the hostility and withdrawal of the North Korean forces. The veto-wielding Soviet delegate happened to be absent at the session, making adoption of the resolution possible. On June 27, 1950, the Security Council recommended that the U.N. member nations furnish military and other assistance to help stop the Communist aggression. On July 7, the Security Council established a unified U.N. Command under which the troops provided by the U.S. and other U.N. members were to fight the aggressors. Thus, for the first time in world history, international police force was set up under a single command. A total of 16 U.N. member nations con-tributed armed forces to the U.N. forces. They are Australia, Belgium, Canada, Colombia, Ethiopia, France, Greece, Luxembourg, the Netherlands, South Africa, New Zealand, the Philippines, Thailand, Turkey and the United States. Denmark, India, Italy, Norway and Sweden also provided medical and other forms of assistance to Korea. President Truman appointed U.S. Army Gen. MacArthur as Commander-in-Chief of the U.N. forces. The Korean ground, air and sea forces were also placed under his command. However, the U.N. forces were forced to retreat down to the Naktong River line. The U.N. and Korean troops had been cornered to a small pocket along the southeast coast of the Korean Peninsula. The U.N. forces, regrouped and reorganized at Taegu, quickly built up a strong defense line along the Naktong River, where the Communist advance was halted for more than a month. Then on Sept. 15, 1950, the United Nations forces landed at Inchon, far behind the enemy line, in one of the most successful amphibious assaults in history. 10 days after the landing, the U.N. forces recaptured Seoul, and from then on marched in close pursuit of the fleeing Red army that offered almost no resistance. On Nov. 2, 1950, nearly 30 divisions of Communist Chinese army began to storm the U.N. forces along the entire front. At the time, the victorious U.N. forces had made a deep thrust into North Korea, some of them reaching the Yalu River that divided Korea from Manchuria. Pyongyang, the North Korean capital, had been captured on Oct. 19. When the Chinese army intervened in the war, Gen. MacArthur announced that an entirely new war had started. The heavily outnumbered U.N. forces pulled back, followed by more than 600,000 North Korean refugees seeking freedom in South Korea. The U.N. General Assembly, in a resolution on Feb. 1, 1951, branded Communist China an aggressor. Seoul fell again to the enemy in early January 1951. The government, in the meantime, again moved to Pusan where it stayed for more than three years though the Communists were thrown back beyond the 38th parallel in a month. Armistice By the end of May 1951, both sides pitched against each other roughly along the 38th parallel. General lull set in across the battle fronts. It was at this time that Soviet delegate Jacob Malik hinted at the United Nations that a negotiated settlement of the conflict would be possible. The United States responded to the Russian offer and authorized its top commander in Korea to negotiate a truce with his Communist counterpart. The truce talks, which began on July 10, 1951 at Kaesong, ran into difficulties from the outset over the question of setting up a demilitarized zone along the front line. Both sides also differed on the questions that concerned the exchange of prisoners of war and enforcement and observance of truce. The negotiations were stalemated for months while the bloody fighting went on along the nearly fixed front line. The U.N. Command proposed that POWs be repatriated according to their free will. But the Communists demanded indiscriminate repatriation of all prisoners. In the meantime, more than half of the 130,000 Communist war prisoners refused to go back to the north. In April 1953, President Syngman Rhee declared that his government would never accept an armistice short of complete uni-fication of Korea. He threatened to stage a unilateral military action by South Korea alone to achieve unification. His adamant stand against the truce received support from the National Assembly and the general public. Anti-truce demonstrations organized by the government broke out across the country. Then in a dramatic move, President Rhee defiantly freed 27,000 North Korean anti-Communist prisoners of war who refused to go back to the north from POW camps at Taegu, Yongchon, Pusan, Masan, Kwangju, Nonsan and Pupyong. 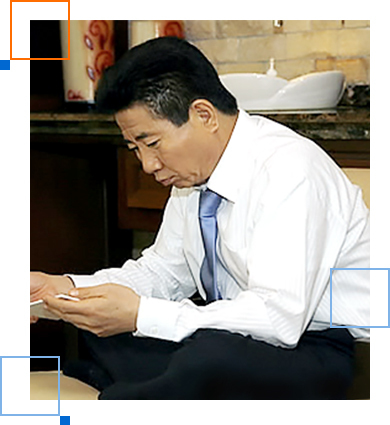 Rhee's dramatic move shocked the world and caught the U.S. government off balance. U.S. government leaders who were anxious to end war in Korea blamed Rhee for undercutting the U.S. bargaining position at the truce parley. U.S. President Dwight Eisenhower sent Secretary of State John Foster Dulles as special envoy to persuade Rhee to accept truce terms. President Rhee announced his intention to accept the truce only after he received commitments from the U.S. that she would sign a mutual defense pact with the Republic of Korea. The armistice agreement was signed on July 27, 1953. Both sides folded their war machines at 10 p.m. that day. The two sides pulled back 2 km each from their positions, creating 4 kim-wide demilitarized zone. The buffer zone remains unchanged until today. The four-nation Neutral Nations Supervisory Commission began overseeing the armistice. During the Korean War, over an estimated one million persons were killed in combat. The combat casualty toll included 225,784 Koreans, 57,440 U.N. troops, 294,151 North Koreans, 184,128 Communist Chinese soldiers. Some 244,663 civilians were killed in combat-related actions. In addition, 128,936 Korean citizens were murdered by Communist troops and secret police with 84,523 others abducted to North Korea. Geneva Conference The Geneva conference opened in accordance with the terms of the Korean armistice agreement to discuss issues related to the reunification of Korea. A total of 19 nations including North Korea and Communist China participated in the meeting which was held in Geneva in April 1954. The government sent Foreign Minister Pyon Yong-tae to represent the Republic of Korea at the parley. The Communist side submitted a six-point proposal calling for a nationwide election under the supervision of an international commission to be composed of representatives from both North and South Korea and those from neutral countries. Foreign Minister Pyon at the meeting proposed a 14-point formula that called for a united, independent and democratic Korea through a free election in the whole of Korea under the supervision of the United Nations in accordance with the constitutional provisions of the Republic of Korea. He also suggested that representation in all-Korea legislature be proportionate to the population of the whole country. Pyon then called for the complete withdrawal of Chinese troops one month in advance of the election date and for continued stationing of U.N. troops in Korea until such time as the unified government of all-Korea was established. The conference was terminated by the U.S. and its allies after two months of futile wranglings. Due to his high-handedness, Syngman Rhee's popularity was sagging among the National Assembly members during the war. And the party lineup in the second National Assembly, which started to function in the wartime capital of Pusan on March 15, 1951, was unfavorable to Rhee. Sen-sing that he could not win a presidential election through an indirect parliamentary vote as stipulated in the existing Constitution, Rhee decided to change the Constitution to make the President chosen through a popular vote. The second presidential election was scheduled for Aug. 5, 1952 under the revised Constitution. The Liberal Party renominated Rhee at its national convention held in Taejon on July 19, 1952. The convention also named Lee Bom-sok to run as Rhee's running mate. But seeing Lee as a political menace to himself, Rhee ignored the convention endorsement of Lee and instead picked Ham Tae-yong as his running mate. The major opposition DNP, in the meantime, nominated Lee Si-yong for presidency and Cho Byong-ok for vice presidency. In the election, Syngman Rhee was elected for his second four-year term on Aug. 5, 1952, by a large margin over his runner-up Cho Bong-am who ran on the ticket of the Progressive Party. President Rhee wanted to run for another term as his second presidential tenure approached to its end, but found himself unable to do so under the constitutional provision limiting presidential terms to eight years. Therefore, he set out to change the Constitution again. In June 1954, the Liberal Party formally introduced a constitutional amendment designed to lift, totally this time, any curb on presidential terms. The bill was voted on Nov. 27, 1954, and mustered 135 of the total of 203 votes, whereupon it was declared defeated. However, the next day the Liberal Party speaker of the National Assembly hurriedly convened the Assembly to announce that he had made a grave mistake in declaring the bill killed the previous day. The constitutional revision bill which required 135.333 votes for its passage had in reality been approved under the mathematical practice of knocking off fractions under 0.5, he declared. In the face of the scornful jeers, he insisted that affirmative votes of 135 were sufficient for a constitutional amendment. Under the new revised constitution, the government announced that the third presidential election would be conducted on May 15, 1956. The Liberal Party again nominated Rhee for presidency, while picking Lee Gi-bung as its vice presidential candidate. On the other hand, the opposition Democratic Party nominated Shin Ik-hui as its presidential candidate and Chang Myon was chosen to be its vice presidential nominee. Cho Bong-am announced his presidential aspiration with backing of his Progressive Party.But Democratic Party nominee Shin Ik-hui died of heart attack at the height of electioneering. This left only Syngman Rhee and Cho Bong-am in the field where Cho was bound to turn out to be the loser. Now with the major rival in the presidential race out of the way, the Liberals were determined to do everything in their power to see that Lee Gi-bung gets enough votes to beat his opponent from the Democratic Party. They in fact did everything they could to rig the election, mobilizing police force and making use of government officials, because they knew Lee Gi-bung, if left alone, would have no chance of winning against Chang Myon of the popular opposition Democratic Party. On the voting day opposition witnesses at voting booths were terrorized, ballot sheets were forged and in some districts ballot boxes had been stuffed beforehand. When the votes were tallied, Syngman Rhee scored an easy victory as expected winning 5,046,437 votes or 70 percent of all valid votes, while 2,163,808 votes went to Progressive Party Cho Bong-am. Cho was hanged in late 1959 for allegedly collaborating with North Korean communists. When it came to the vice presidential race, however, the Liberals suffered a humiliating defeat. Despite all-out efforts to fake the returns, there were simply too many people who cast their votes for Chang Myon of the oppositon. The final vote count revealed, it was announced, Chang defeated Lee Gi-bung by a margin of 200,000 votes. Thus, Syngman Rhee was thrown into an untenable position where he had to accept the top opposition politician as his chief deputy. The Liberals suffered another setback in the general elections held on May 2, 1958. They failed to win a two-thirds majority as they had hoped for, while the Democrats increased their seats at the cost of Liberals. In the local elections that closely followed the presidential election, the government party openly attempted to fake the returns. The successive defeats in elections had convinced the Liberal Party that the only way it could win future elections would be to rig the elections and fake the returns. With this in mind the Liberals started to take a series of measures. The measures included an amendment to the Local Autonomy Law under which they could pack every local government with their own henchmen. The amendment was pushed through the National Assembly. Another bill was aimed at revising the National Security Law to include a provision warning that those who publish or circulate false or distorted reports to mislead the public shall be subject to heavy punishment. The occasion of passage of this bill came to be known as the Dec. 24 Political Turmoil. On Christmas eve, policemen stormed into the Assembly floor, manhandled opposition legislators to carry them forcibly out of building to enable the Liberals to pass the bill alone. As the presidential election set for March 15, 1960 approached, the Liberal Party again nominated Syngman Rhee for its presi-dential candidate and Lee Gi-bung as its vice presidential candidate. The opposition party picked Cho Byong-ok as its presidential candidate and Chang Myon for vice presidency. But once again, as in 1956, death snatched away from the Democratic Party a chance for power. On Feb. 15, 1960, Democratic Party presidential nominee Cho Byong-ok died in Walter Reed Army Hospital in the United States, leaving Syngman Rhee as the only contestant in the presidential race. Despite the demise of the opposition candidate, the Liberals would take no chance, however. Opposition observers were thrown out of the polls to allow the Liberals to freely manipulate ballots. Voting booths were left open in some places so that the voters could be watched from outside. The Liberals b-razen rigging of elections finally touched off violent demonstrations in Masan just west of Pusan. On the election day, March 15, 1960, thousands of citizens and students marched through the streets of Masan and clashed with police. Police fired on the crowds, killing, according to the official count, eight men and injuring 50 others. About 20 days later, the body of a high school student was found floating in the sea off the port. This triggered another wave of even more violent demonstrations in the city. On April 18, the students of Korea University swarmed through the streets of Seoul and staged demonstrations outside the National Assembly building. The following day, April 19, they were joined by colleagues from other schools and by noon students from almost all the universities, colleges and high schools in the capital hit the streets. The government proclaimed martial law as it was apparent that the demonstrations were developing into a popular uprising. In the meantime, demonstrations were also launched in other big cities, threatening to spread throughout the country. Then on the evening of April 25, some university and college professors in the capital marched through the streets of Seoul in support of the students, giving a decisive blow to the faltering Liberal regime. Next day, President Rhee promised a new election while saying that he was ready to step down if the people so wanted. At the same time, he carried out a partial reshuffle of his cabinet. The National Assembly, however, in an emergency session, resolved that President Rhee resign immediately. Thereupon, Rhee finally announced his resignation on April 27. On April 28, Lee Gi-bung, together with his wife and two sons, committed suicide evidently to escape public disgrace and trial. After Syngman Rhee stepped down from presidency, Ho Jong, former acting Prime Minister, was installed as Acting President. The caretaker government of Ho Jong started to prepare for new parliamentary election. The National Assembly voted for a consitutional amendment to provide for a bicameral legislature and to replace the presidential system with a parliamentary system which would give the prime minister full responsibility for governing the nation. Under the revised Constitution, new elec-tion took place on July 29, 1960 for the fifth National Assembly and the newly created House of Councillors. The Demo-cratic Party which had been in opposition under Syngman Rhee scored a landslide victory in the elections. The Democratic government, led by figurehead President Yun Po-son and Prime Minister Chang Myon, was confronted with numerous difficulties from the start. Students, voci-ferous and proud of their role in toppling the Syngman Rhee regime, showed little restraint in meddling in politics. During the period from April 19, 1960 to May 16, 1961, there were more than 500 major demonstrations by university students, and some 110 by students of high school level and under. In the same period, there were also 45 demonstrations by various labor organizations. On domestic and international political fronts, the Democratic Party regime was staggering under mounting radical development. Among those were mushrooming radical leftist political organizations that clamoured for North-South contact and neutralization of Korea. The Democratic Party regime called for, as its official policy, reunification of Korea through general elections to be held in South and North Korea under the supervision of the United Nations in accordance with the constitutional procedures of the Republic of Korea. Earlier, the North Korean communists began to launch propaganda offensive by calling for federation of South and North Korea and neutralization of entire Korea. At about the same time, U.S. Senator Mike Mansfield maintained that the U.S. government should start considering the possibility of reunifying Korea in consultation with other big powers on the basis of the formula that neutralized Austria in 1965. Mansfield's plea emboldened some segments of leftist students and politicians and they began to ask publicly the government to embrace it. The so-called Inauguration Committee for the National Reunification League at Seoul National University on Nov. 1 called on Prime Minister Chang to visit the United States and the Soviet Union to sound out on the new unification formula. The Inauguration Committee of the Socialist Party on Nov. 28 also issued a statement calling for neutralized reunification. On Nov. 30, the Progressive Party issued a statement saying permanent neutralization of Korea should be considered. At the same time, a socialistic radical group led by Kim Tal-ho on Dec. 7 demanded that a national referendum be held to decide on the issue of neutralization of the country. The Democratic Party regime got literal-ly bogged down in the mounting pressure from within and without. Despite the situation which had seemingly run out of control, the DP regime, in its latter days, started to show signs that it was finally succeeding in putting the chaotic situation under control. At the same time, it had completed drafting a long-term economic development plan, which succeeding governments made use of. In predawn hours of May 16, 1961, military columns led by Maj. Gen. Park Chung-hee crossed the Han River into Seoul and seized power, overthrowing the Democratic Party regime. Gen. Park then decreed martial law throughout the country, naming Gen. Chang Do-yong, army chief of staff, as chairman of the Military Revolutionary Committee. When Prime Minister Chang Myon came out from hiding to announce his forced resignation on May 18, the revolutionary committee established the Supreme Council for National Reconstruction which it said would exercise legislative and administrative powers. The council then went on to enact a law for installing a revolutionary Court and revolutionary Prosecution Office on June 21 under the provisions of another law of its making, the National Reconstruction Extraordinary Measures Law. Its purpose was to root out the old evils. On July 2, 1961, the Supreme Council for National Reconstruction named Gen. Park Chung-hee as its chairman. On March 24, 1962, two days after President Yun Po-son announced his resignation, the Supreme Council resolved to accept his resignation and named its chairman to act as President until the government was turned over to civilians. On Dec.17, 1962, the military government conducted a national referendum on a constitutional revision to revive the presidential system of government, and it was announced that the amendment had been approved by 78.78 percent of the valid votes. 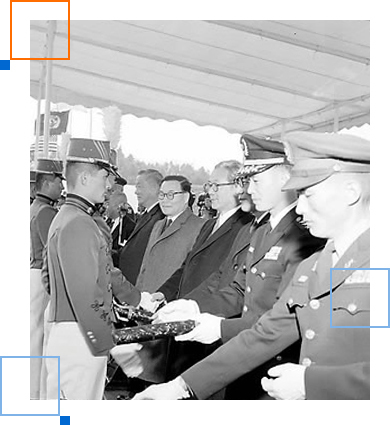 On Dec. 27, 1962, the military leaders, in violation of their own pledge, declared that they would participate in the civilian government to be established the following year. The declaration drew concerted attacks from the civilian politicians and the people. On top of the resulting confusion, power struggles had developed within the military junta rending the closed ranks of the military officers engaged in self-imposed task of rebuilding the nation. Then charges of corruption and impropriety were leveled against some members of the military junta, and news media reported daily on what was labeled as four major scandals involving the military regime. Coupled with the serious misdeeds involving some of the junta members, the mounting criticism by civilian politicians and the press threw the nation into a turbulent confusion which demanded some extraordinary step. On Feb. 18, 1963, acting President and Supreme Council Chairman Park Chung-hee publicly came out to renounce his intention to participate in the civilian government he was pledged to install. The opposition politicians and the general public were quick to welcome it. However, under pressure by his followers who had completed secret organization of a new political party and were ready to come out in the open while all civilian politicians were in fetters, Park changed his mind. On March 16, he convened a press conference to announce that he had decided to extend the military government for four more years. However, faced with the strong objection raised by civilian politicians and aggravated public opinion, he again beat a hasty retreat to announce on April 8 that he would shelve the plan. Earlier he had said that he would put the issue of military rule extension to a plebiscite. But he now decided to postpone the proposed referendum until the end of September, and to allow the resumption of political activities immediately. Following the resumption of party politics proclaimed by the military junta on Jan. 1, 1963, several political parties came into being. Prominent among them was the Democratic Republican Party which the military leaders had organized in secrecy while civilian politicians were barred from any politically motivated activities. On the other hand, opposition political forces were hopelessly split into a half a dozen political parties, failing to offer a united front against their common adversary. Meanwhile, as summer approached, the price of rice soared and the people started to show growing discontent against the military government. To make the matter worse, the U.S. government made it known that it was withholding shipment of surplus grain aid to Korea. Relations between the governments of the U.S. and Korea had strained to a considerable extent over the uncertainty of Park's intention to surrender his power to a civilian government. The students hit the streets when it was known that Park's perennial presidency would continue for four more years under the arbitrary electoral college system of Park's own design. The most urgent agenda of the moment for the top leaders of the Park regime was whether to resort to shooting to quell the demonstrations which were intensifying daily. It was during the heated discussion that the KCIA director shot and killed Cha and Park in that order. Other KCIA agents killed four of Park's bodyguards on the spot, effectively ending Park and his 18-year-long rule. The Fourth Republic was created under the new Constitution named Yushin (revitalizing reform). The Constitution was adopted in a national referendum on Nov. 21, 1972. The reform Constitution drafted by the then martial law government of President Park to institute a tougher ruling structure created a novel form of institution called the National Conference for Unification (NCU). It is essentially an electoral college whose main job is to choose the President through non-popular vote. The NCU is also mandated to act as the supreme deliberative organ of the nation, acting on such important issue as territorial unification. 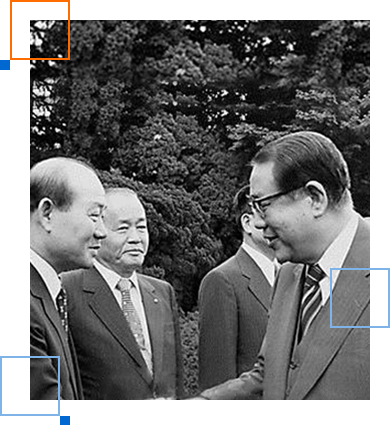 The NCU opened its inaugural session on Dec. 23, 1972 and elected President Park as the 8th President. President Park was sworn in on Dec. 27. On Feb. 27, 1973, voters went to the polls to elect 146 representatives to the 219-seat National Assembly. It was announced that the ruling Democratic Republican Party won 73 seats while the opposition New Democratic Party gar-nered 52 seats. The splinter Democratic Unification Party, a political grouping formed by dissident members of NDP, won only two seats. The remaining 19 seats went to independents. In accordance with the new Constitution, the NCU elected the rest of 73 seats of the National Assembly on the basis of the ticket handpicked by President Park on March 7, 1973. President Park Chung-hee proclaimed a series of Presidential Emergency Decrees in 1974, invoking Article 53 of the new Constitution which empowered him to take extraordinary measures in time of national crisis. On Jan. 8, 1974, he issued Presidential Emergency Decree No. 1, banning all activities opposing, distorting or slandering the Yushin Constitution as well as any press reports on those activities. At the same time, he issued Presidential Emergency Decree No. 2 promulgating the establishment of special courts martial to deal with violators of Decree No 1. The Emergency Decree No. 2 provided for taking into custody all violators of Decree No. 1 without arrest warrants and giving them prison sentences of up to 15 years. On Jan. 14, 1974, President Park promulgated Presidential Emergency Decree No. 3 for the purpose of stabilizing the people livelihood by drastically cutting or exempting taxes for low-income earners. On April 3, 1974, Presidential Emergency Decree No. 4 was promulgated to outlaw the so-called National Federation of Democratic Youths and Students which Park said was plotting the overthrow of the government through clandestine subversive activities. It also ordered the closure of the schools engaged in anti-state activities. On April 8, 1975, President Park promulgated Presidential Emergency Decree No. 7 ordering temporary closure of Korea University and banning rallies and demonstrations on its campus. This decree was lifted on May 13. Another Presidential Emergency Decree, this time No. 9, was issued on May 13, 1975 to consolidate the national consensus as well as to strengthen the total security posture in the wake of the Indo-Chinese debacle. The decree called for imprisonment of no less than one year plus suspension of civil rights for no more than 10 years for any campaign against the existing Constitution, politically motivated student demonstrations, press reports thereof and a number of specified wrongdoings including bribery and land speculations. This decree was in reality a revival of emergency decrees issued in early 1974 and lifted in August of the same year. Later that year some 200 students and other dissidents were jailed by the court martial for their anti-government campaigns. 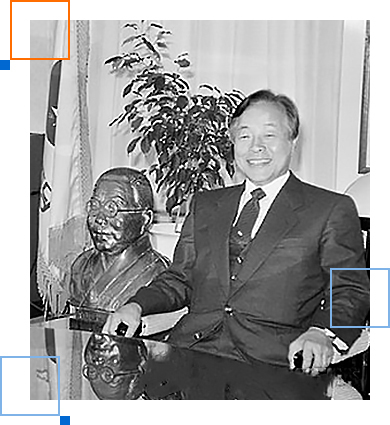 President Park Chung-hee and his 18-year rule came to an abrupt, tragic end on Dec. 26, 1979. Park, his two topmost aids, Cha Ji-chol, the top presidential bodyguard, and KCIA Director Kim Jae-kyu, were meeting in a carousal at a KCIA safe house restaurant to discuss the explosive situation in Pusan. A pall of darkness had descended on what was widely believed to be the securely entrenched regime of Park Chung-hee when a series of serious student demonstrations erupted in Pusan and another port city of Masan on the east coast. Despite his public pledge to turn over the power to a civilian government, Park, after retirement from the army, ran in the presidential election on Oct. 5, 1963 and won. It was announced that Park had defeated former President Yun Po-son who ran on the ticket of the Minjung Party, by a slim margin of 150,000 votes. The opposition civilian politicians failed to present a unified front in the election, several splinter parties fielding their own presidential candidates. The transition from military to civilian rule was completed with the general elections held on Nov. 26, 1963 for the sixth National Assembly. In the parliamentary elections, it was proclaimed, the Democratic Republican Party, composed mainly of soldier-turned politicians and their followers, scored victory over the badly split opposition forces. In the subsequent presidential election held on May 3, 1967, President Park Chung-hee was reelected to a second consecutive term with 51.4 percent of the total valid votes over his chief opponent Yun Po-son. In the parliamentary elections on June 8, 1967, Park's Democratic Republican Party won 130 seats, 13 seats more than the two-thirds majority required for constitutional revision. The major opposition New Democratic Party, which had been formed just prior to the general elections through the merger of two parties, Minjung and Shinmin, got only 44 seats. Kim Jong-pil, the founder-chairman of the ruling Democratic Republican Party, by announcing all of a sudden that he was retiring from politics in the summer of 1968, laid bare the intraparty feud which had obviously been seething for sometime within the ruling party. The internal bick-erings within the ruling hierarchy worsened in early 1969 when the so-called non-mainstream faction of the ruling Democratic Republican Party started the move to rewrite the basic law to scrap the two-term limit on presidency. The opposition politicians, with the backing of public opinion, immediately started a campaign to bar another constitutional amendment initiated for the sole purpose of prolonging the presidential tenure of an individual. President Park's party tabled a constitutional amendment bill on Sept. 14, 1969 which would enable the incumbent President to bid for his third straight term. The constitutional amendment bill was rammed through the legislature in a special session held at a National Assembly annex building in the absence of opposition lawmakers. The constitutional amendment proposal was put to a national referendum on Oct. 17. The official announcement said 65.1 percent of the voters throughout the country cast aye votes. In the wake of the railroading of the constitutional amend-ment, the legislative function came to a virtual standstill. The opposition New Democratic Party adamantly refused to attend the National Assembly sessions, demanding that ruling Democratic Republican Party accept its five-point preconditions, including a revision of election laws to hold elections for the President and National Assembly at the same time and implementation of local autonomy. Negotiations dragged on, both sides re-fusing to give in. However, politicians changed the focus of their attention elsewhere when the next parliamentary election approached early in 1970. And yet, the nation's political world was tense throughout 1970. The National Assembly bogged down in partisan bickerings over every major issue. The political strife took yet another vociferous turn in the closing months of 1970 when the opposition New Democratic Party named Kim Dae-jung, a new generation politician, as its standard bearer for the oncoming presidential election. Following his nomination, the opposition leader started to stump the nation attacking President Park and his government for their alleged corruption and strong-arm tactics. 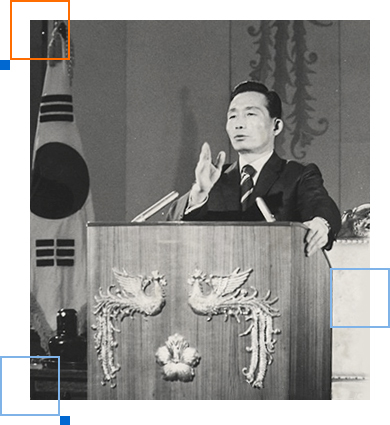 President Park, however, was reelected on April 27, 1971 for his third consecutive four-year term, defeating Kim Dae-jung. Nevertheless, the ruling Democratic Republican Party suffered a major setback in the general elections on May 25 for the 204-seat new National Assembly. The governing party won 113 seats, 23 seats short of the two-thirds majority, whereas the opposition New Democratic Party had 89 seats, 20 seats more than 69 seats required to block any future attempt to rewrite the basic law. President Park proclaimed a state of national emergency throughout the country on Dec. 6, 1971, asking the people, among other things, to be prepared to shoulder increased burdens to tide over the crucial situation surrounding the nation. The emergency measure was aimed at awakening the people to the international situation which endangered the security and vital interests of the nation. The declaration contained a six-point guideline which Park said should govern the administration's policies and the daily life of the people in the face of the crucial situation surrounding the country. The Dec. 6 declaration was followed up by a series of concrete measures designed to streamline and strengthen the military preparedness of the nation, which included the passage of Special Measure Law on National Defense. The law empowers the President to exercise, if necessary, the vast powers which he would otherwise be able to invoke only under martial law. In the meantime, the ruling Democratic Republican Party drafted a special bill on national security to support President Park's efforts to weather through the national emergency. The opposition New Democratic Party immediately came out against the special bill, and its lawmakers resorted to physical resistance on the Assembly floor to block its passage. The ruling Democratic Republican Party legislators, however, went ahead and pas-sed the bill in a predawn Assembly session on Dec. 27 which was convened in secrecy without the knowledge of the opposition lawmakers. Two months earlier the government had invoked the Garrison Act in the Seoul area to put down anti-government student demonstrations protesting the military training program for colleges. July 4 Joint Communique On July 4, 1972, South and North Korea simultaneously announced a joint communique pledging mutual collaboration to seek peaceful reunification, stunning the nation. The historic joint communique called for renouncing the use of force in pursuit of reunification. The agreement was reached after Lee Hu-rak, director of the Korean Central Intelligence Agency, and Pak Song-chol, North Korean Vice Premier, exchanged secret visits to each other's capital. But the agreement became a dead letter as the Red Cross talks between the two sides came to a deadlock in 1973. Red Cross Talks The Red Cross talks between South and North Korea started at the initiative of the Korean National Red Cross in 1971 with the specific aim of helping reunite an estimated 10 million divided family members living in separation. Representatives from both sides held a total of four full-fledged meetings alternately in Seoul and Pyongyang in 1972. In 1973, however, they held only three rounds of full-dress meetings as the talks deadlocked because of North Korea's politically motivated demands which obviously had been raised to wreck the talks from the beginning. The divergence of view between the two sides over the basic approach toward the Red Cross parley led the humanitarian conference to a stand-still. The impasse was further aggravated in August of 1973 when North Korea demanded replacement of chief South Korea negotiator Lee Hu-rak, accusing him of masterminding the abduction of Korean opposition leader Kim Dae-jung from Tokyo to Seoul in August 1973. Proclamation of Martial Law On Oct. 17, 1972, President Park proclaimed martial law which was meant to partially suspending the Constitution and dissolving the National Assembly, while banning political activities. The emergency measure was necessary to effect institutional reforms in the nation's political system to cope with the changing international situation and to carry on with South-North dialogue just initiated with Communist North Korea. Ten days later Park bared another constitutional revision calling for creation of the National Conference for Unification (NCU) whose function it was to pick the President, doing away with a nationwide poll. The proposed Constitution also provided for extension of the tenure for both the President and the National Assembly from the current four to six years. Also the National Assembly would be composed of a total of 219 members, of which one-third would be picked by the President, leaving the remaining two-thirds to be elected through a popular vote. 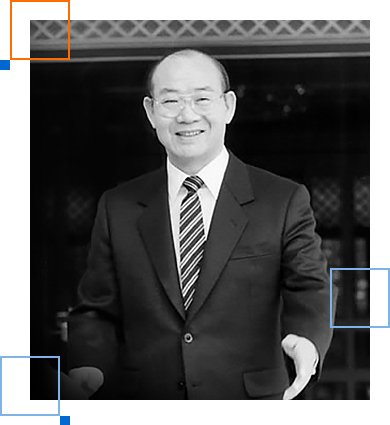 On March 3, 1981, Chun Doo-hwan inaugurated his 7-year presidency as the head of the Fifth Republic, by outlining his policies and programs, pledging to build just society guaranteeing welfare of all citizens-and to create an era of economic progress and social justice. Chun's ascendance to power, however, was not without its attendant difficulties. During the transitional period from Park's assassination in October 1979 to his inauguration in March 1981, he had to play a tightrope performance in paving the way for his own rise to power. First, he had to eliminate the general officers within the military who stood in his way. They included the incumbent army chief of staff, Gen. Chung Sung-hwa and his followers, whom he succeeded in rounding up with a show of force provided by tanks of Maj. Gen. Roh Tae-woo's Ninth Division on the ground that Gen. Chung had been involved in the assassination of the late President Park. Chun then set out to create a terrorized atmosphere in an attempt to silence criticisms and to remove the potential presidential aspirants. To that end, Martial Law Decree No. 10 was proclaimed to ban all forms of political activities and labor strikes, closed all universities and colleges, and imposed censorship on the press and televisions. Kim Jong-pil, Lee Hu-rak, Pak Chong-kyu and seven other prominent leaders of the Park era were put under arrest on charge of corruption. Kim Dae-jung was arrested on trumped-up charges of conspiring to overthrow the government, and Kim Yong-sam was placed under house arrest. The National Assembly was also closed. However, student demonstrations demanding liberalization and ouster of political generals started to escalate in the spring of 1980, which alarmed Chun and his fellow generals. And Kim Dae-jung's arrest touched off violent demonstrations in Kwangju, the traditional stronghold of the politician hailing from that region. The subsequent 9-day bloody demonstrations were finally put down by all-out assault launched by army paratroopers backed by tanks, which resulted in several hundred casualties by an official count. During Chun Doo-hwan's administration, many outdated and cumbersome reg-ulations and laws were either eliminated or simplified. The midnight to 4 a.m. curfew which had been in effect for 36 years was lifted and restrictions on international travels were relaxed. Inflation was brought down to an annual rate of less than 5 percent. The Fifth 5-Year Economic Development Plan, which was drawn up during his administration to cover the period from 1982 to 1986, projected a growth rate of 7.6 percent in real GNP. Perhaps the one most valuable legacy Chun left as Chief of State was his voluntary surrender of power as he had repeatedly sworn to do. Which was quite remarkable in view of the fact that he found no precedent in which a head of state relinquished his power at the end of his term in the 50-year history since the end of World War II. The tradition established by Chun was carried on by Roh Tae-woo when he released his in a peaceful transfer of power to his lawful successor, Kim Young-sam, in 1992. President Roh Tae-woo took the oath of office ushering in the Sixth Republic in February 1988. President Roh began his term of office by promising that the authoritarian rule of the past would end and that the June 29 Declaration would continue to be adhered to. Prior to the presidential election of 1987, Roh made a dramatic declaration, now known as the June 29 Declaration, in which he accepted ractically all of the opposition demands including choosing of the President through a popular vote which led to his assumption of power as the first popularly elected President in 16 years. 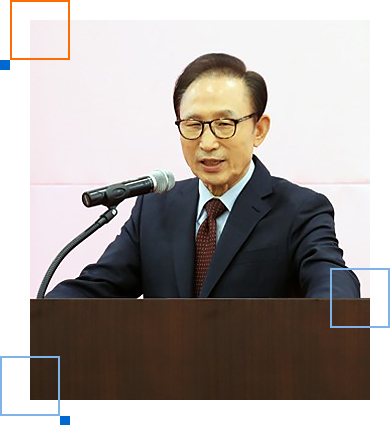 During his term of office, President Roh took many measures and steps with the aim of liberalizing and democratizing the national life and institutions. These included the repeal or revision of non-democratic laws and regulations, release of many political detainees and discontinuation of surveillance of the news rooms of major press organizations including radio and television stations by the government's intelligence agents. 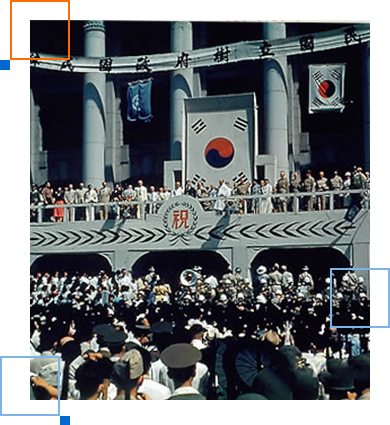 During the Roh administration, Interna-tional Olympic games were held in Seoul for the first time in the nation's history. The 24th Olympics held in Korea in 1988 was widely hailed as a great success. President Roh shook the political world of the country in January 1990 by announcing a grand unprecedented alignment in which his ruling Democratic Justice Party merged into a new Democratic Liberal Party with two major opposition political parties, Kim Yong-sam's Reunification Democratic Party and the New Democratic Republican Party led by Kim Jong-pil. The unusual political realignment was the direct result of the surprising returns of the National Assembly election held on April 26, 1988. The final vote tallies of the nationwide elections revealed that Roh's ruling Democratic Justice Party failed to muster a working majority in the National Assembly. On top of that, the Democratic Party for Peace led by Kim Dae-jung came out to be the largest opposition in the National Assembly. Through this grand maneuver, it was Kim Yong-sam who benefitted most in paving the way for his triumphant victory in the presidential race in 1992. 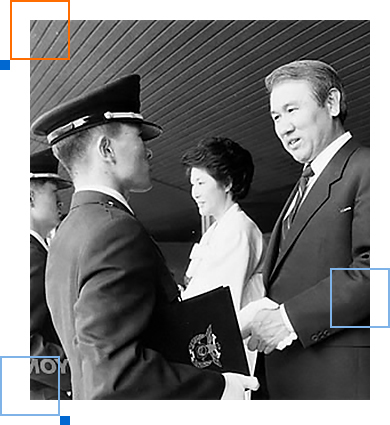 President Kim Young-sam was sworn as president on Feb. 25, 1993 amid upbeat public fanfare, being the first civilian president in three decades. Kim began his five-year term with a pledge to engineer sweeping reforms in all sectors of society, particularly stressing the need to cut once and for all traditional collusive links between politicians and businessmen. In the early days of his term, Kim enforced a set of reformative programs to public acclaim. For instance, he forced senior public officials and politicians to declare assets of their families and themselves, and expelled politically-minded generals from active service and introduced a real-name financial transactions system. However, the chief executive soon faltered in his reform drive, apparently amid resistance from conservatives who formed the main stay of his power base. Moreover, some of his reforms were criticized as being prejudiced and unfair. His waning popularity was evident in the local elections on June 27, 1995, when his ruling party suffered a stunning defeat. In a symbolic gesture to rejuvenate his sagging party, the president renamed the ruling Democratic Liberal Party, the New Korea Party (NKP). As part of his strategy to win back public support for the NKP and himself, Kim launched a history righting campaign targeted mainly against two former heads of state, Chun Doo-hwan and Roh Tae-woo. Under the president's initiative, the ruling party huddled together with opposition parties to hammer out a law empowering the prosecution to act against the two ex-presidents, regardless of the statute of limitations. Prosecutors arrested Chun and Roh and some of their colleagues on charges of rebellion, under the Military Criminal Code, for their roles in the 1979 coup and the Kwangju massacre in May 1980. The two ex-presidents were also charged with graft. The Seoul District Court sentenced Chun to death and Roh to 22-and-half-a-years in prison. 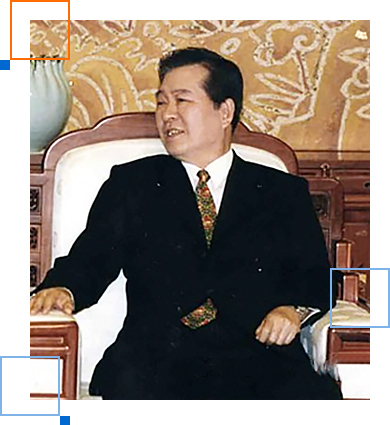 The Seoul Appeals Court reduced Chun's sentence to life imprisonment and Roh's to 17 years, both of which were upheld by the Supreme Court on April 17, 1997.President Kim's action against Chun and Roh paid off, since public support for him was waning. No sooner had Kim rejoiced over election victories, when public suspicion surfaced that he had received a large sum of Roh's slush fund as campaign funds in the 1992 presidential elections. Compounding the campaign fund issue and dealing a crushing blow to his image, the Hanbo scandal erupted at the turn of 1997. Hanbo Group Chairman Chung Tae-soo had attained a huge amount of bank loans to finance the construction of his ironworks company in Tangjin without proper collateral, apparently through influential politicians. The opposition camp accused Kim Hyun-chul, the second son of President Kim, of being a central figure in the scandal. They said a large portion of the loans must have flowed into the pockets of ruling camp politicians as kickbacks, and a number of ruling and opposition politicians had in fact, received money from Chung. At a National Assembly hearing on the scandal, the junior Kim denied guilt or any wrongdoing. But the prosecution arrested him on May 17 on charges of allegedly receiving 6.5 billion won from businessmen, 3.2 billion won of it in kickbacks. Another incident that marred the image of the Kim Young-sam Administration was controversy over the passage of amendments to labor-related laws, and the Law on the Agency for National Security Planning. With public sentiment sizzling, the ruling and opposition parties worked out and adopted new bills on March 10, 1997, to replace the disputed laws. Meanwhile, the diplomatically-active president saw a personal goal fulfilled with the country's entry into the Organization for Economic Cooperation and Development (OECD). South Korea was admitted as OECD's 29th member country on Oct. 11, 1997, five years after the nation expressed an interest in joining it. President Kim Dae-jung was inaugurated on Feb. 25, 1998,.becoming the first chief of state from the opposition camp in the nation's constitutional history. A lifetime opposition leader .President Kim was also the successor to Kim Young-sam, the first civilian president after a series of military juntas. It is still too early to decide whether his five years in office were a success or failure, and the interpretation of his actions will vary depending on the perspective in years to come. However, on a personal note, he will be remembered positively as the first Korean and the only president to receive the Nobel Peace Prize for his work for democracy and human rights in South Korea and East Asia in general, and for peace and reconciliation with North Korea in particular. From the beginning, the regime's biggest task was overcoming. the financial crisis that shook the nation's economy to its roots in late 1997. "If democracy and a market economy harmonize and develop in tandem, there will be no collusion between government and business circles, no government-controlled finance and no corruption and irregularities," said the president in his inauguration address. President Kim added that transparent business management would evolve from economic restructuring, and bad practices such as cross-guarantees of debt payments would end. He promised to take tough action against leaders of mismanagement and concentrate on building a sound financial structure. The government's efforts for a fast economic recovery paid off.in August 2001 when the nation completed repayment of bailout loans, amounting to $19.5 billion, from the International Monetary Fund (IMF) three years ahead of schedule. As of the end of January.2003, the nation's official foreign exchange reserves stood at 122.billion dollars, a drastic improvement from the four billion at the end of 1997. His government also concentrated on nurturing the IT industry .and working to improve the national welfare by guaranteeing a basic standard of living. However, its greatest achievement would.be the "Sunshine Policy" on inter-Korean relations. President Kim adhered to three principles - blocking any North Korean aggression. against the South, promising that South Korea would not absorb the North, and separating politics from the economy - to promote .cooperation and exchanges between Seoul and Pyongyang. As a result, Kim became the first South Korean leader to participate in an inter-Korean summit when he traveled to Pyongyang on June 15, 2000. Since then, there have been continuous dialogues between the two countries, including nine minister-level talks. Prior to the government-level exchanges, civilians began traveling to the North's Mount Kumgang in November 1998. This could not have been possible without the government's full political support. Nonetheless, there were a few military incidents with North Korea that startled the nation. In June 1998, the South Korean navy captured a North Korean submarine after it became entangled.in a fishing net near Sokcho on the eastern coast. In June of the following year, a North Korean torpedo boat was sunk and two other northern vessels seriously damaged in a fierce battle off the West Coast. But the most casualties occurred in June 2002. Five South Korean sailors were killed and 19 others were wounded, with one still missing, during another exchange of fire in the West Sea. However, cultural and economic exchanges between the two Koreas are continuing. In the international sports arena, Kim's government was praised for successfully hosting the 2002 Busan Asian Games and co-hosting the 2002 World Cup with Japan. The South Korean team finished .fourth in the soccer tournament. Despite all these achievements, President Kim and his government had to endure dark moments. Although the nation chose Kim Dae-jung as its leader, his party failed to win the majority at the National Assembly, which often resulted in gridlock with the opposition party, led by Lee Hoi-chang. President Kim's government came under fierce attack when his two sons and a right-hand man, Kwon Roh-gap, were arrested for accepting bribes. The arrests were a serious blow to the Nobel Peace Prize laureate and further tarnished the image of the government, which had yet to fully recover from the "Clothes Lobby" scandal in late 1998. The Kim administration is also accused of secretly paying North Korea US$100 million to get Pyongyang to agree to the historic summit in 2000. Kim has admitted to approving the transfer and defended the action by saying it was for the sake of peace, and history will decide whether his action was just or not. President Roh Moo-hyun took office on Feb. 25, 2003 with wide public support as shown by voluntary fundraising and campaigning by citizens during his presidential campaign. The transition of power was conducted smoothly with his predecessor Kim Dae-jung’s full support and blessing. But his five-year term in office drew mixed evaluations on a wide range of issues from politics and diplomacy to economy and social issues. Roh pushed hard for political reforms to root out corruption inside the government and to achieve democracy, and such efforts paid off by leading the general election in 2004 to be one of the most "clean" ones in history with the least number of irregularities and no major ethical scandals during his term. But his anti-corruption drive that included many administrative reforms suchas the prosecution, drew much opposition from his own government officials and political parties. Though he was credited with guaranteeing the independence of the key powerful bodies of the prosecution and the intelligence agency so as to upgrade the country’s democratic standards, some criticized his loss of control over them as the head of state. One of the rockiest moments of his presidency would be when he faced an impeachment bill in 2004 presented by opposition parties who accused Roh of economic mismanagement and election law violations, among other things. But the Constitutional Court put him back in power some two months later. Putting building a firm foundation for peace on the Korean Peninsula as one of the top policy goals of "the Participatory Government," Roh inherited his predecessor’s Sunshine Policy of engagement toward North Korea. The policy, however, drew criticism from the conservative side and caused a rift with the United States, particularly after Pyongyang continued its bellicose actions of detonating a nuclear device and firing a Taepodong-2 missile in 2006. Inter-Korean relations, badly frayed by the provocations, thawed the following year, as the two Koreas agreed on a range of economic cooperation projects in their second-ever summit in 2007. During the talks, Roh signed a 10-point peace agreement on Oct. 4 with his North Korean counterpart Kim Jong-il as part of effort to boost reconciliation by forging closer economic ties. But the summit which came in the final months of Roh’s term in office failed to bear much-expected tangible fruits, with conservative presidential candidate Lee Myung-bak vowing a tougher stance against the communist country. Roh won the presidential election in late 2002 largely on the back of anti-U. S. sentiment triggered by the acquittal of two U.S. sergeants charged with negligent homicide after two local schoolgirls were struck and killed by a military armored vehicle. As a presidential candidate, Roh, who had once demanded the withdrawal of the U.S. military, called for equality in the countries’ relations and vowed not to kowtow to Washington. He, however, in general was supportive toward the U.S. while in office: he deployed troops to Iraq in support of the U.S.-led coalition in the Middle Eastern country, saying such commitment was need to draw support from the U.S. in resolving the North Korean nuclear crisis. In 2005, Roh and then U.S. President George W. Bush expressed their willingness to explore the possibility of an FTA despite strong opposition, and reached the deal in 2007. After a series of both domestic and diplomatic procedures, the free trade deal took into effect in March 2012. In terms of the economic policy, Roh put an emphasis on a free and fair market order and welfare distribution rather than growth and deregulation as part of effort to achieve the national integration. His long-term economic policy measures to improve the overall structure earned positive evaluations, but skyrocketing housing prices and mounting household debts during his term, among others, served as a drag on the economic growth. No major ethical scandal involving Roh emerged, but bribery by his aides haunted the president. In 2009 after his retirement, his family members and aides came under prosecution investigations for bribery charges, with his elder brother Roh Gun-pyeong imprisoned. In April 2009, the probe was expanded to summon and question Roh and his wife for their alleged involvement in a corruption scandal in which they allegedly received millions of dollars from a local businessman. After being distressed by months-long investigations, Roh leaped to his death from a mountainside precipice above his hometown of Bonghwan, southeastern South Korea, on May 23, 2009 at the age of 62. His death led to an outpouring of grief that was followed by days of mourning as people lined up in the thousands nationwide to pay tribute to the late leader. President Lee Myung-bak was inaugurated on Feb. 25, 2008 amid expectations for his bid to boost national development on the basis of market economy and to spread pragmatic ideals across the society. Lee, the former chief executive of Hyundai’s construction arm, was elected with the largest margin of votes in the country’s history, but saw his approval ratings dip to the 20-something percent range due mainly to widespread perceptions that he was out of touch with the public, the wealth gap widened due to his pro-business policies and the benefits of growth in big businesses did not trickle down to the working class. Other factors for his fall from favor include his insistent placement of long term confidants in key posts, his unpopular project to refurbish the nation’s four major rivers, a strain in inter-Korean relations escalated by his hard-line policy and a string of corruption scandals involving his close aides and even family members. The first crisis came just a few months after Lee took office when massive antigovernment protests began over mad cow concerns after his decision to resume U.S. beef imports. The months of protests dealt a heavy blow to his fledgling presidency. What followed that same year was a global financial crisis triggered by the U.S. subprime mortgage debacle. It raised fears that Asia’s fourth largest economy might plunge into a crisis similar to the one that battered the country in the late 1990s, and which took years of painful economic restructuring to overcome. Even before that crisis had eased, South Korea was faced with yet more fiscal turmoil emanating from Europe. In between the two major economic crises, tensions with North Korea constantly weighed on the South as the communist country sought to shake Seoul with a series of provocations in an attempt to force Lee to soften his policy towards Pyongyang and resume unconditional aid. In 2009, North Korea carried out a long-range missile launch that was followed by an underground nuclear test, the country’s second such test following the first one in 2006. In 2010, the North mounted two deadly attacks on the South, torpedoing a warship in waters near the western sea border between the two in March and launching an artillery attack on the border island of Yeon pyeongin November. The two attacks claimed the lives of 50 people. In 2011, the autocratic leader Kim Jong-il died unexpectedly, leaving the belligerent regime with a nuclear program in the hands of his untested youngest son and heir, Kim Jong-un. In 2012, Pyongyang carried out two long-range rocket launches -- one in April and the other in December. The series of North Korean provocations culminated with another nuclear test in February, the country’s third, that fueled fears Pyongyang may be getting closer to being able to produce nuclear tipped long-range missiles. Presidential officials say these negative images unfairly overshadowed Lee’s accomplishments, such as the quick recovery from the global economic crises; a series of massive economic deals, including a nuclear power plant construction project in the United Arab Emirates; and the nation’s successful hosting of a G20 summit in 2010 and the Nuclear Security Summit last year. His accomplishments include the bolstering of relations with the United States after the traditional alliance suffered under Lee’s predecessor, the late President Roh Moo-hyun, who pledged not to “kowtow” to Washington and sought a foreign policy more independent of the U.S. Multiple free trade deals with foreign countries are also considered among Lee’s feats. Lee aggressively sought such trade deals to expand what he calls the “eco-nomic territory” of South Korea, which is a resource-scarce economy that relies heavily on exports for growth. His achievements on the domestic economic front, however, fell way short of expectations. One of Lee’s trademark campaign pledges was the so-called “747” promise that was named after the Boeing aircraft and calls for attaining 7% annual economic growth, increasing per capita income to US$40,000 and making South Korea the world’s seventh-largest economy within a decade. But South Korea’s economy grew only an average of 2.9% during Lee’s time. Though South Korea’s unemployment rate is relatively low at around 3% when compared with other nations, the jobless rate for those aged 15-29 was at 7.5% as of the end of 2012, the highest level since June 2012 when the rate rose to 7.7%. He also suffered from a series of ethical lapses with himself, his family members and close aides involved in bribery and other influence-peddling scandals. The latest scandal involved Lee’s only son, Si-hyung, and the Presidential Security Service allegedly misusing public funds and violating real estate laws when they jointly bought a plot of land in 2011 for the president’s retirement residence, which was to be built in Naegok-dong on the southern edge of Seoul. The cost was allegedly not shared evenly, with the presidential entity paying too much for the site for security facilities. Though the prosecution stopped short of bringing charges against three former presidential officials for breach of trust, several local civic groups sued Lee for his alleged role in pushing for the project.